When I was recently asked to be a judge for an art competition my initial gut reaction was "hell no!" After I had such an emotional response I had to carefully consider why. I've been in art competitions. I've won prizes. Sometimes they are fun gatherings. I've especially enjoyed some plein air competitions. But the fact remains that most art competitions are money making schemes. Artists have to pay to participate and if they are lucky they will win an award. The host organization profits from the entry fees. Most art competitions simply award the work that does the best job of conforming to "the standards." They don't award for innovation, for improvisation or for heart. While the rules of composition can be great tools to incorporate into a piece, art is more than the sum of its parts. Last month I met a young man who works at a corporate job. He shared with me that in high school he had entered an art competition. When he didn't get in he felt so hurt that he stopped creating art for 10 years. He has recently gained the courage to start drawing again. The message the awards system sends to artists, like this young man, is that SOME people's work has value and other's doesn't. When a person's work has been deemed second class they often drop art from their lives. I think that art is more than a way to impress people with awards. Art is a visual language. We use it to express what we cannot say with words. We use it to enhance our homes and communities. If we choose we can use it to bridge gaps, not to create them. Art plays an important role in the lives of many, many people. It isn't just for an elite minority. My 11 year old daughter was recently invited to participate in an orchestra competition. They requested $15 to judge her playing. I said no. I want my daughter to enjoy music. I want for it to enrich her life. Not only do I not want for her enjoyment to be hindered by a judgy proclamation but I don't want to pay someone for the privilege of doing so! Art competitions are most destructive when they are directed at young people. Tell a young kid they are good or bad at anything and they will take it on as part of their personality. We don't need any more limits. We need possibility. We need growth. This is why I have decided that I will not judge art competitions in the future. Nor will I be recommending them to my students. We can gather together to share our art, our vision of the world, without competition. We can gather together to celebrate everyone's artistic voice. - If you are an art teacher give all of your art students individual awards such as "The most imaginative," "The most interesting characters," so on and so forth. - If you host art shows call out for certain themes then accept entries on a first come, first serve basis. - If you are a non-profit organization that needs money to host an event ask your sponsors. Artists should not have to pay to share their work. Remember that the artists are doing enough for your event by spreading the word about your organization and sharing their work for the enjoyment of your patrons. Appreciate this and remember to thank them. - If you are an artist seek out the many other platforms to share your work such as coffee shops, legitimate non-profits, museums, churches or community centers. There are alternatives. You have choices. So I've said it! Art competitions are scams and the emperor has no clothes. 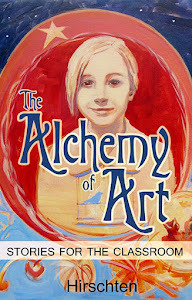 Hear more ranting and raving on this topic on the latest episode of The Alchemy of Art Podcast. I am so behind your statement about competitions! One extra thought - so many judges are biased by what is 'modern' and 'popular' that art is always judged by its sameness to those categories. I neither enter or judge art competitions. Good for you for speaking out! Thanks Van! I appreciate your thoughts. 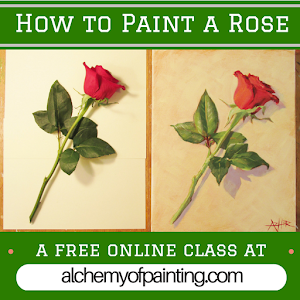 New OnlineCourse: Start Selling Your Art!